Media and technology companies have always understood the value of intellectual property, whether it takes the form of episodic TV, feature films, or apps and information. Houses of worship should recognize that they too produce valuable media assets. Churches can learn several things from Hollywood and tech firms, since content creation for the faith-based market in many ways parallels the content production cycles of media companies. While it is a given that religious organizations should keep spirituality as the foundation of their efforts, churches, synagogues, and mosques should also look at content production and distribution—and live streaming in particular—from a business perspective as well. Houses of worship can use video for their outreach as a way of growing their ministry. Online video is an effective communication and discovery agent. It provides an opportunity to reach out to more congregants and enable them to connect with you from almost anywhere around the world on any device. And because of changing media habits, viewers are looking for other ways to consume content outside of traditional television broadcast models. As a growing house of worship, you can provide an alternative to secular shows by offering your own brand of streamed programming. Streaming video is a key catalyst in driving more consumers to view more content. It helps you disseminate knowledge, and creates a global unified experience in real time. Houses of worship simply are online broadcast networks that deliver exclusive original programming to people who are seeking it. Religious services are generally timeless and can be viewed multiple times over many years since the messages are universal, unless they cover topical subject matter. However strong the message they’re delivering, just as with broadcast television or any other online media, churches should produce video content consistently in the best quality possible. Viewers have become much more sophisticated and savvy about online video, and have a certain expectation of quality. 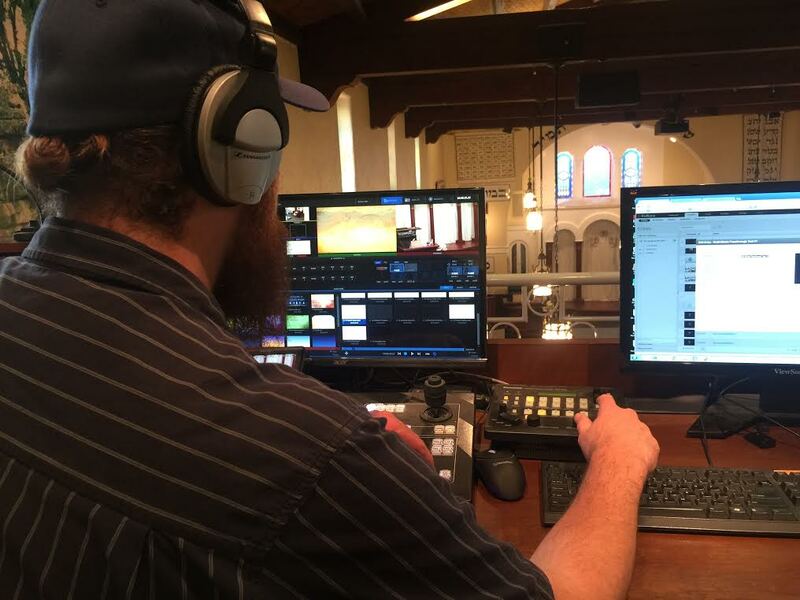 Streaming should not be an afterthought, but rather a focus for your house of worship. It should be treated as a priority since these are direct touch points to your current and future congregation. It should be viewed as the primary form of communication outside of your physical location. • Content strategy: Identifying your story and figuring out how to tell it. • Content creation: Understand the value of your content and preserving it by using the highest-quality production tools and technology, and hiring the right production personnel. • Managing your content using media asset management software. • Distributing content to streaming and content platforms. • Engage with your parishioners: Marketing to your audiences, reaching them where they are, and include them in the conversation through sharing and social media. • Evaluating and analyzing: Collecting analytics, and choosing resources that help you decode what all the data means.